At the China-ASEAN investment promotion seminar, held in Beijing on October 29, 2018, Cycares CEO Xiong Juan said that the healthcare industries of Association of Southeast Asian Nations (ASEAN) member states such as Thailand and Singapore have prospered. At the China-ASEAN investment promotion seminar, held in Beijing on October 29, 2018, Cycares CEO Xiong Juan said that the healthcare industries of Association of Southeast Asian Nations (ASEAN) member states such as Thailand and Singapore have prospered. Under the Belt and Road initiative, it's the right time to strengthen international communication and cooperation in the healthcare and medical industries, Xiong noted. Cycares, a Beijing-based healthcare company founded in 2015, aims at meeting the increasing consumer demand of newly wealthy Chinese for medical and healthcare. To ensure that an increasing number of Chinese patients, especially the newly wealthy, can access high-quality healthcare all over the world, Cycares is dedicated to building an international healthcare platform that is supported by internet technology, providing consumers with high-quality health care and some value-added services such as cross-border medical and advanced physical examinations. "As we see it, in addition to sending patients abroad, introducing advanced medical experience and resources overseas is the other important channel for patients to get high-quality treatment," said Xiong. Now, Cycares has exclusively adopted Balance Metabolic Health Management which was approved by experts from both China and abroad as an effective way to decrease incidence of health problems for Chinese market from the Cambridge Health Alliance, a healthcare provider in the US state of Massachusetts, through which Cycares hopes to improve awareness of healthy lifestyles in China. In recent years, China has seen an increasing rate of chronic diseases caused by unhealthy lifestyles. And the Healthy China 2030 is unprecedented in highlighting the importance of disease prevention. To protect Chinese people from chronic diseases, lots of things need to be done outside of hospitals. When it comes to prevention, improving people's awareness should be the priority. Xiong said they hope the newly wealthy can lead a trend that will influence more people in China to live healthier lifestyles. By doing so, it's possible to promote upgraded consumption in the healthcare sector and for Chinese people to prevent potential diseases. 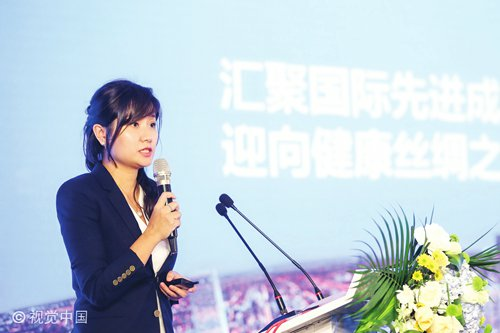 When it comes to overseas consultation, Cycares has its own advantages over its competitors in its sector, Xiong noted. "We've already built direct cooperation with over 50 advanced medical institutions all over the world without any third party," Xiong said. In addition, Cycares has already established three offline operation centers for providing reality and high qualified services. According to Cycares statistics, in 2017, over 25,000 consumers in China have accepted healthcare services provided by Cycares. And thousands of newly wealthy families have accepted healthcare services abroad through Cycares. "We'll build stronger ties with overseas healthcare institutions and expand our business to new first tier cities like Chengdu, Sichuan Province in China," said Xiong. In the coming two years, Cycares is going to extend its market to 20 cities across China.